PS3 and Xbox 360 owners will soon be able to stream content from Hulu via its new subscription service. 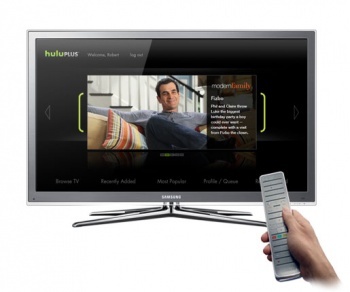 Hulu joins the likes of Netflix and the iPlayer in offering streamable media to console owners through Hulu Plus. Hulu Plus is ten bucks a month, and gives access to every aired episode of the current seasons of shows like House and Family Guy, and a library of past shows like the X-Files and Buffy the Vampire Slayer. On top of that, supported content can be streamed in 720p high-definition. Unfortunately, neither of the console versions of the service is ready to go just yet. The PS3 service launches in July, which could mean two days, or it could mean thirty-two days, and the 360 version is coming in "early 2011". A Hulu Plus subscription isn't tied to a single device though, so there's nothing stopping you from getting a subscription and watching on your computer until the console versions are ready. Hulu Plus is currently available by invitation only - presumably so it can be tested before being released to the general public - but Hulu says that it will remove this need for an invitation as soon as it's ready. You can request an invitation by visiting the Hulu website and entering your e-mail address. Unfortunately, Hulu Plus is US only, much like the regular site. The rest of us are just going to have to look on in envy I suppose.